The five launches are part of an active year for NASA Earth science, which also includes airborne campaigns to the poles and hurricanes, development of advanced sensor technologies, and the use of satellite observations and data analysis tools to improve natural hazard and climate change preparedness. As we prepare for future missions to an asteroid and Mars, our immediate focus for this year is on Earth. NASA satellites, aircraft and research help scientists find answers to critical challenges facing our planet today and in the future, including climate change, sea level rise, freshwater resources and extreme weather events. The launches coming up this year begin with Global Precipitation Measurement (GPM) on Feb. 27 from Japan. That mission will set a new standard for precipitation measurements from space, providing observations of rain and snow worldwide several times a day. This will be followed by ISS-RapidScat in June to measure ocean surface wind speed and direction and help improve weather forecasts, including hurricane monitoring. Orbiting Carbon Observatory-2, launching in July, will acquire precise measurements of atmospheric CO2. ISS Cloud-Aerosol Transport System (CATS) in September will measure the location, composition and distribution of pollution, dust, smoke, aerosols and other particulates in the atmosphere. Soil Moisture Active Passive (SMAP) in November will provide global measurements of soil moisture. Later this year, we also begin the third year of science flights from the Wallops Flight Facility in Virginia of our Global Hawk unmanned aircraft to study hurricanes across the Atlantic and Gulf of Mexico. These diverse missions will join our unparalleled fleet of 16 Earth-observing satellites currently collecting valuable data to add to a long-term record of scientific information about our home planet, Earth. Together, they form a coordinated series of satellite and airborne missions making long-term global observations of the land surface, biosphere, solid Earth, atmosphere and oceans. This coordinated approach enables an improved understanding of Earth as an integrated system with many complex interactions. These missions help build bridges of cooperation across the globe as observers on the ground share their insights and add them to space-based observations. This also makes it possible for scientists across borders to share their findings about our Earth’s unified system. We live in an era when our Earth-observing satellites circle the globe many times each day, gathering data in real time. After having the privilege of flying shuttle missions and seeing Earth from the vantage point of space, I’ll never forget observing our fragile planet from above with no visible political borders, only those established by the oceans and mountains and other geography. It’s a permanent reminder that our planet belongs to everyone, and we each have a responsibility to help protect it. As more than 30 heads of space agencies from around the world prepare to gather in Washington January 9-10 for an unprecedented summit on the future of space exploration, we are pleased to announce that the Obama Administration has approved an extension of the International Space Station (ISS) until at least 2024. We are hopeful and optimistic that our ISS partners will join this extension effort and thus enable continuation of the groundbreaking research being conducted in this unique orbiting laboratory for at least another decade. The extension of ISS operation will allow NASA and the international space community to accomplish a number of important goals. First, it will allow NASA to complete necessary research activities aboard the ISS in support of planned long-duration human missions beyond low-Earth orbit—including our planned human mission to an asteroid by 2025 and to Mars in the 2030s. NASA has determined that research on ISS is necessary to mitigate fully 21 of the 32 human-health risks anticipated on long-duration missions. A related critical function of ISS is testing the technologies and spacecraft systems necessary for humans to safely and productively operate in deep space. Extending ISS until 2024 will give us the necessary time to bring these systems to maturity. Second, ISS extension will extend the broader flow of societal benefits from research on the Station. Research conducted on the ISS has already resulted in a number of discoveries with significant medical and industrial implications. Medical examples include potential vaccines for Salmonella and antibiotic-resistant strains of bacteria, and a microencapsulation technique for delivering cancer treatment drugs to tumors without affecting healthy cells. Additionally, technologies advanced by the ISS have led to robotic surgical techniques that are opening the door to successful removal of tumors that were previously considered inoperable. A further benefit of ISS extension is it will give NASA and its private-sector partners time to more fully transition to the commercial space industry the transportation of cargo and crew to low-Earth-orbit, allowing NASA to continue to increase its focus on developing the next-generation heavy-lift rocket and crew capsule necessary for deep-space exploration. Two American companies are already under contract to resupply the ISS. The current cargo contracts will end in the 2016/2017 timeframe, but the extension of ISS to at least 2024 will allow many more flights to be added to the ISS cargo services contract, resulting in more competitive pricing, possible additional new private-sector bidders, and ultimately more U.S. commercial satellite launches. Launching American astronauts to the space station from U.S. soil has also been a top priority of the Obama Administration, and we’re making great strides toward certifying private companies to transport our astronauts into orbit. With the first commercial crew flight scheduled for 2017, some had questioned the value of a commercial crew investment that would have lasted only three years. Extending ISS to 2024, with a concomitant increased number of flights, will drive down the per-flight cost and make this investment even more attractive. The ISS is also playing an increasingly important role in the study ofthe Earth and its changing climate. In the next few years, the ISS will host several Earth- and space-science instruments, including the Stratospheric Aerosols and Gases Experiment (SAGE III), the RapidSCAT ocean winds measurement instrument, the Orbital Carbon Observatory (OCO-3), the Cosmic Ray Energetics and Mass (CREAM) experiment, the Calorimetric Electron Telescope, and others. Ensuring the stability and availability of the ISS through 2024 will instill confidence in the science community that the ISS platform will be available for important, long-term research endeavors. Finally, extending the ISS will help cement continuing U.S. leadership in human spaceflight going forward. The ISS is the most complex and challenging engineering endeavor in history. 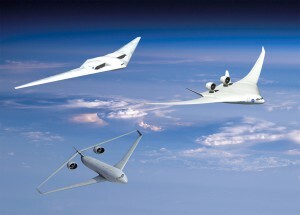 The key to its success has been the combination of NASA ingenuity and international cooperation. With a partnership that includes 15 nations and with 68 nations currently using the ISS in one way or another, this unique orbiting laboratory is a clear demonstration of the benefits to humankind that can be achieved through peaceful global cooperation. It is important to keep this partnership intact, with America as its leader. Leadership in space brings with it economic growth, technological prowess, and national pride, and contributes to American global leadership more broadly. The ISS is a unique facility that offers enormous scientific and societal benefits. The Obama Administration’s decision to extend its life until at least 2024 will allow us to maximize its potential, deliver critical benefits to our Nation and the world, and maintain American leadership in space. This week at the American Geophysical Union conference in San Francisco, NASA scientists joined colleagues from around the world to report discoveries, discuss findings and advance knowledge about our Earth, sun, and the solar system. As always, NASA science was responsible for some of the major news coming out of the event — demonstrating once again our commitment to Earth and space science. Earth Science remains a central priority for NASA, and we continue to operate and enhance the world’s leading fleet of Earth observation satellites to enable us to understand our planet and its changes and to ensure the long-term continuity of our data. We’ll be launching five new missions in calendar year 2014 and another six before 2021 to help us better understand our planet, predict and respond to natural disasters, and provide tools to help people around the world deepen and share their knowledge. Among many findings discussed at AGU, scientists reported that they have discovered the coldest place on Earth. It’s a high ridge in Antarctica on the East Antarctic Plateau, where temperatures in several hollows can dip below minus 133.6 degrees Fahrenheit (minus 92 degrees Celsius) on a clear winter night. Scientists made the discovery while analyzing the most detailed global surface temperature maps to date, developed with data from remote sensing satellites including the new Landsat 8, a joint project of NASA and the U.S. Geological Survey (USGS). The centerpiece of the agency’s planetary exploration program is our focus on Mars, undergirded by the President’s bold challenge to send humans to an asteroid in the next decade and to Mars by the 2030s. America’s track record of successful missions to Mars is unequaled and we intend to keep it that way. The Curiosity rover has provided results that indicate Mars offered conditions favorable for supporting microbial life significantly later than the period that had been believed. The rover’s first 300 days of measurements of the natural radiation environment is also helping support our work to send humans to the Red Planet by the 2030s. High above the planet, the Mars Reconnaissance Orbiter has revealed to scientists slender dark markings — possibly due to salty water – that advance seasonally down slopes surprisingly close to the Martian equator. Tracking how these features recur each year is one example of how the longevity of NASA orbiters observing Mars is providing insight about changes on many time scales. Farther afield, the Juno spacecraft, on its way to Jupiter, treated us to a rare vista of the Earth and the moon as they move in concert. Science is critical to NASA’s future plans. Our exploration goals are integrated with our scientific work, and our science missions are helping provide the information that will help us understand our home planet, live and work in space for the long term and demonstrate technologies for future missions. Congratulations to all the scientists who presented at AGU. Their dedication and curiosity is inspiring us all and fueling our continued journey of discovery. At NASA, we recognize that new space technologies and innovation are the underpinnings of all of our future missions and they feed directly into America’s economic well-being. We also understand that for our nation to remain strong, our economy requires an advanced, globally competitive manufacturing community that invents and makes high-value-added products and leading-edge technologies. 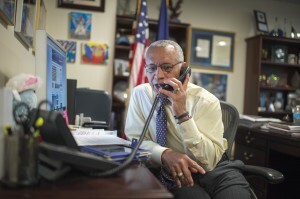 This work is critical to NASA’s future missions and our nation’s strength and health. New and innovative partnerships between NASA and cities and communities around the country can leverage our skills and shared goals to benefit America in space and on Earth. Today, a NASA-Ohio partnership announced the names of six small and medium size manufacturers who were selected to receive no-cost technical expertise from NASA subject matter experts to solve challenges with one of their new or existing products. Cleveland and Cuyahoga Counties are making $270,000 in low interest loans available to the six winning companies if needed to cover costs connected to finding solutions to their challenges. This partnership is part of the Administration’s “Strong Cities, Strong Communities” and “Adopt a City” initiatives, in which NASA has been partnering with the city of Cleveland, Cuyahoga County and the Manufacturing Advocacy & Growth Network (MAGNET) to work with small and mid-sized businesses in Ohio to keep our innovation economy on track. Addressing these challenges will help increase revenue and create jobs. This is another example of how NASA is working, regionally and locally, to support innovative partnerships that lift our game in support of American manufacturing. In his inaugural address, President Obama said “We cannot cede to other nations the technology that will power new jobs and new industries – we must claim its promise…In order to win the future we must out-innovate, out-educate, and out-build the rest of the world”. One way NASA is helping to win the future is through our commitment to our cities, our communities and the manufactures who will help us out-innovate the world in the 21st century. A commitment to innovation and technology is crucial to our future plans and evident in everything we do. Using game-changing technologies advanced by the Administration, NASA is developing a first-ever mission to identify, capture and redirect an asteroid and send astronauts to visit it. The International Space Station is helping us learn to live and work in space and demonstrate technologies for future missions. We’re planning more missions to destinations within our solar system and spacecraft to peer beyond it. We’re in a new era of exploration and partnerships like this are keeping our nation the leader in space. When I saw the Olympic torch on its first spacewalk in history this past Saturday, I was reminded of NASA’s 50-plus years as the world’s undisputed leader in space exploration. Today, we have more evidence of that leadership. After more than 10 years of hard work, milestones and successes, NASA’s Commercial Orbital Transportation Services (COTS) program is passing the torch. Orbital’s Antares takes off on a test flight. NASA photo by Bill Ingalls. A little more than two years after the end of the Space Shuttle Program, two American companies, SpaceX of Hawthorne, California and Orbital Sciences Corp. of Dulles, Va. have restored American capability to deliver and return experiments and supplies to the International Space Station (ISS), replacing our reliance on foreign providers. Their successes mark the conclusion of the COTS program and clear the way for both companies to begin providing regular transportation services to the ISS. These achievements did not happen by chance. They are the result of strong, bipartisan leadership by the Obama and Bush Administrations, and extraordinary execution by the men and women at NASA and our partners in the private sector. This is a great example of continuity across Administrations when the good of the nation takes front and center. Building on this public-private partnership model, President Obama has invested in an even more ambitious plan to have American companies transport our astronauts to the ISS on spacecraft launched from U.S. soil, ending the outsourcing of this work overseas. It is now critically important to get full funding from Congress, to keep us on track to begin these launches in 2017. A SpaceX Dragon capsule is grappled by the International Space Station. 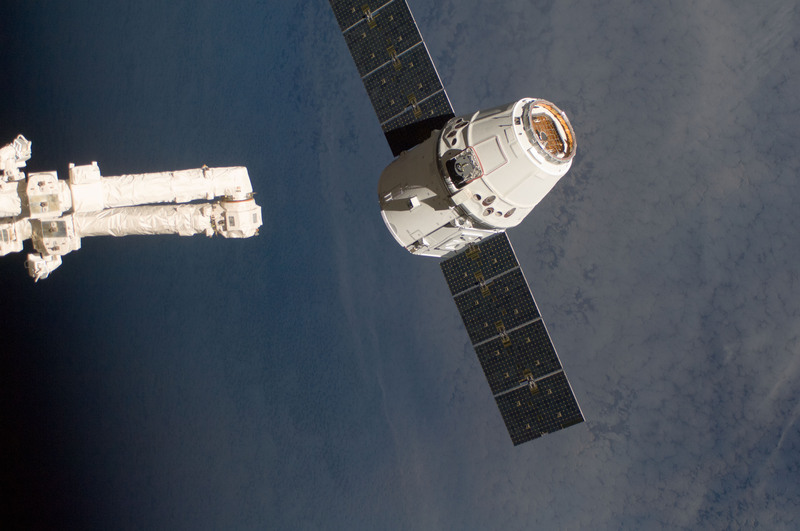 SpaceX completed its COTS development with a demonstration mission to the space station in 2012. Since then, the company has flown the first two of 12 contracted cargo resupply flights to the space station through a $1.6 billion Commercial Resupply Services (CRS) contract with NASA. Orbital Sciences ended its development phase in October, with a successful demonstration mission to the space station. Orbital is poised to launch the first of its eight cargo resupply missions to the space station in December through its $1.9 billion CRS contract with NASA. Throughout the COTS program, NASA’s partners achieved a number of important spaceflight firsts for the U.S. commercial space industry. This included the first commercial spacecraft to orbit and return to Earth to earth in tact, achieved by SpaceX. The company also was the first commercial provider to resupply the space station. 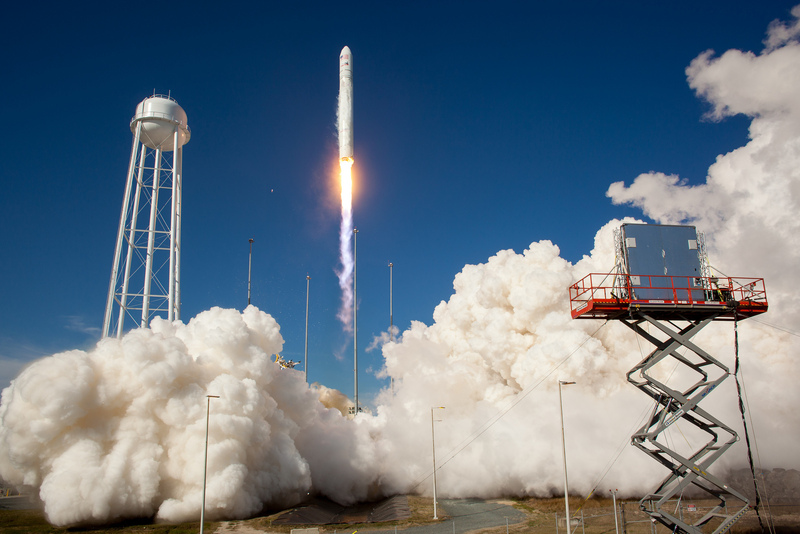 Orbital Sciences was the first company to launch to the space station from Virginia, beginning its mission from the new Mid-Atlantic Regional Spaceport at NASA’s Wallops Flight Facility on the Virginia Eastern Shore. Safe, reliable and affordable commercial access to low-Earth orbit is a critical component of NASA’s parallel path for human exploration. To that end, we are passing the torch of innovation to our partners in our Commercial Crew Program. Three companies, Boeing, SpaceX and Sierra Nevada are hard at work developing the next generation of U.S. spacecraft and rockets capable of transporting humans to and from low-Earth orbit from American soil. NASA intends to use new commercial capabilities to fly U.S. astronauts to and from the International Space Station within the next four years. Next week, the agency will issue a final Request for Proposals for contracts designed to ensure commercial companies meet NASA’s safety requirements for transporting NASA crews to the space station. America’s best days in space exploration are ahead of us thanks to the grit and determination of those in government – and the private sector – who dare to dream big dreams, and have the skills to turn them into reality. My congratulations to SpaceX, Orbital and the entire NASA workforce for the success of our COTS program. Because of your Olympian efforts, NASA continues to keep the torch of exploration burning and we keep bringing home the gold. This week NASA is holding a conference of 400 scientists from around the world to discuss the findings that continue to emerge from our amazing Kepler mission. These scientists, both inside and outside government, will continue to explore potential planets outside our solar system for years to come based on the spacecraft’s groundbreaking work. The science that Kepler has made possible reminds us just how important NASA’s work is to understanding our universe – and why we need to continue to push the boundaries of exploration. Kepler was designed to survey our region of the Milky Way galaxy to discover Earth-size and smaller planets in or near the habitable zone and determine what fraction of the hundreds of billions of stars in our galaxy might have such planets. Although the Kepler mission ceased operation earlier this year, we’ve already confirmed 167 planets orbiting stars in other solar systems, with the planet candidates list currently standing at 3538. As NASA plans missions to an asteroid and Mars, and just marked 13 years of continuous habitation aboard the International Space Station, we’re learning to live and work off planet for the long term. We’re working hard to revolutionize humanity’s ability to reach and live in other places than our home planet, and these Kepler findings are a fascinating reminder that there may be other worlds like ours that could also harbor life or be habitable. While we continue to learn more about these worlds, missions like Juno and New Horizons will magnify our understanding of worlds closer to us. MAVEN, launching later this month, will add to our growing body of knowledge about Mars in preparation for a human mission there in the 2030s. Before that, NASA plans to locate and redirect an asteroid to lunar orbit where astronauts can visit one of these ancient building blocks of the solar system by 2025. These incredible achievements would have been unthinkable just a few years ago, but with our steady and strategic investments in science, technology and human exploration we continue to build a space program that leads the world in scientific discovery and technology. I congratulate the Kepler team on their continued discoveries and look forward to science and exploration working together to help NASA write the next chapter of the human experience. NASA continues to lead the world in space exploration, planning some of the most ambitious missions to take Americans farther into space than ever before, first to an asteroid and ultimately to Mars. And with global leadership comes a responsibility to point the way, build the coalitions and work to have international partners join us on this bold journey. This week I held a series of meetings with officials from one of NASA’s oldest and strongest international partners during a working visit to Japan. The United States has enjoyed a mutually beneficial relationship with Japan for decades in civil space activities. Our cooperation touches almost every aspect of NASA’s mission. We currently have 46 active agreements with Japanese entities in human space flight, exploration, Earth science, space science, and aeronautics. This makes Japan one of NASA’s leading partners in civil space cooperation. Dr. Naoki Okumura, President of the Japan Aerospace Exploration Agency (JAXA), and I discussed many topics of mutual interest as we sought to strengthen our cooperation. These include NASA’s planned mission to identify, relocate and sample an asteroid. JAXA shares our interest in asteroid exploration, and has established a working group to evaluate and support it. JAXA has unique experience in carrying out asteroid exploration, returning the first samples to Earth with their Hayabusa Mission in 2010, on which the United States proudly partnered. The centerpiece of our partnership has been Japan’s important contributions to the International Space Station (ISS). In fact, Japanese Company aided Wednesday’s successful launch by U.S. commercial partner, Orbital Sciences Corporation, of its first cargo mission to the International Space Station. The Mitsubishi Electric Company (MELCO), under its agreement with Orbital, is providing the Proximity Communication System (PROX) for Orbital’s Cygnus cargo module. PROX will provide guidance information to the spacecraft in its rendezvous and berthing with the ISS. Even as we work hard to help support the U.S. commercial space industry and the jobs that it supports, we’re advancing international cooperation and supporting the in-space platform – the ISS – that will help take us deeper into space than ever before. JAXA’s steadfast support for the ISS throughout its development was instrumental to the success we enjoy today as we are now realizing the significant benefits that this unique research laboratory can provide to the global research community. My Asia trip also includes participation in the International Astronautical Congress (IAC), which is being held in Beijing next week. This annual gathering of space agency leaders from around the world gives NASA a unique opportunity to strengthen global partnerships, discuss issues facing the world community and enlist support for some key United States objectives, including NASA’s asteroid initiative. These discussions will continue to build on the foundation laid by the recently updated Global Exploration Roadmap, a blueprint for human exploration developed by technical experts from a dozen of the world’s largest space agencies. This international roadmap further documents NASA’s commitment to cooperation with our international partners on human and robotic missions to the Moon, an asteroid and Mars, while encouraging strong U.S. private-sector participation in these endeavors. While in China, I also will meet with officials from the Chinese Academy of Sciences to discuss the feasibility of restarting cooperation under our existing geodynamics agreement. I also intend to explore the potential for enhanced contributions of Earth observation data products for purposes such as glacier characterization in the Hindu-Kush region, based on existing relationships with the International Center for Integrated Mountain Development, a site of the USAID-NASA SERVIR program. These are important Earth-science initiatives that can provide benefit to people around the world as we study and learn – from space – more about our home planet. Yesterday, a distinguished panel discussed NASA’s progress on a proposed mission to find, capture, redirect and visit a near-Earth asteroid. The presentation at the American Institute of Aeronautics and Astronautics’ Space 2013 Conference and Exposition in San Diego offers our most mature thinking about how we’ll locate an asteroid in deep space, and send cutting edge space technology to bring it to an orbit closer to Earth where astronauts can visit and study it and bring samples home – all part of our ambitious plan to send humans to Mars in the 2030’s. This initiative — which includes the broad swath of public engagement to identify more near-Earth objects, plus the mission to bring one of these ancient space rocks closer to home and send astronauts to it on an unprecedented mission — has captured the world’s imagination. Since President Obama set as a goal for NASA sending humans to an asteroid by 2025, we’ve been leveraging the hard work we were already doing on a Space Launch System and the Orion crew vehicle to carry astronauts to deep space. Our Space Technology Mission Directorate is working on new capabilities such as solar electric propulsion to power the mission to retrieve the asteroid. On the LADEE spacecraft that launched to the moon last Friday, there’s an experiment to test laser communications that will support our future deep space missions. This is just a sampling of the many things we are already working on to make the asteroid mission — and our other deep space missions — a reality. NASA has chosen 96 ideas it regards as most promising from more than 400 submitted in response to a June request for information about protecting Earth from asteroids and finding asteroids humans can explore. The ideas provide the agency with fresh insight into how best to identify, capture and relocate a near-Earth asteroid for closer study and respond to asteroid threats. At the end of this month, we’ll hold a workshop in Houston to look in more detail at the top ideas we received. Earlier this summer we completed a mission formulation review to examine internal studies proposing multiple concepts and alternatives for each phase of the asteroid mission. The review assessed technical and programmatic aspects of the mission. With the mission formulation review complete, we now will begin integrating the most highly-rated concepts into an asteroid mission baseline concept to further develop in 2014. Next week I depart for Asia — to visit our Japanese partners in Tokyo and then to attend the International Astronautical Congress in Beijing along with the leaders of the world’s space agencies. It will be a great opportunity to strengthen our partnerships, discuss the issues facing the world space community and talk about the asteroid mission in greater detail. In Japan, I look forward to meetings with many officials at the Japan Aerospace Exploration Agency, one of our strongest partners on the International Space Station. Japan is also very interested in asteroid exploration. NASA had a part in the Japanese Hayabusa mission that returned the first samples of an asteroid in space to Earth. That was just the beginning of what we’re going to learn from our efforts to identify more asteroids, understand them, and transform our exploration capabilities by developing the technologies to send humans on a mission to one. Make no mistake; this mission represents an unprecedented technological challenge that will lead to new scientific discoveries and technological capabilities. It will also inform our efforts to develop technologies and processes that may one day help protect our home planet. It brings together the best of NASA in an integrated way to once again raise the bar of human achievement. In August, we announced that we’re bringing the NEOWISE telescope out of retirement with a new goal: identify more near-Earth objects. Starting in October, the Spitzer Space Telescope will attempt infrared observations of a small near-Earth asteroid named 2009 DB to better determine its size. This study will assist NASA in understanding potential candidates for the agency’s asteroid capture and redirection mission. However, this asteroid is just one of many candidates the agency is evaluating. [Link to Spitzer release] We recently released new photos and video animations depicting the asteroid mission. The images demonstrate crew operations, including the Orion spacecraft’s voyage and rendezvous with the relocated asteroid and astronauts maneuvering through a spacewalk to collect samples. I’m proud of the team of scientists, engineers and program managers who are eagerly combining scientific and engineering know-how with innovative ideas to make this mission a reality. I’m equally proud of our new astronauts, who are even now training for tomorrow’s missions, and the people engaged with our work across the world, who are sharing their ideas and expertise to make this exciting mission a reality. The future of space exploration and international partnerships to benefit humankind is bright and our presentation at the AIAA Conference and Exposition highlighted the exciting endeavor on which we are currently embarked.